He and his wife have been going through an ugly separation and we found out he has been admitted to a psych ward and is on a suicide watch for 72 hours. If anyone feels guided to send some positive intentions prayers for him that would be amazing. I know everyone has their own lives to live and some other people might be going through hell right now as well but if they feel guided to send some love his way and his wife’s way that would be great. They both need it greatly. Our family is continuing to go through a lot of hell right now and it’s unclear whether or not this is Archon/Parasite-induced/instigated or just the Matrix falling apart or both but I don’t want to lose him or anyone else because of it. I have almost lost my other younger brother to a suicide attempt years ago and that was very scary for all of us, especially him since he was obviously very unhappy. This is what helped me realize how important family is. Wishing everyone lots of love. In the dream I remember the number 659 being associated with a list of things I believe and the last thing had to do with this possible constellation sign which was in the shape of a scorpion. Now does this mean that this is what the dream was trying to communicate? Not necessarily, but it is the first thing I have found after looking into this. If anyone that is smarter than me in this subject and has anymore insight I would welcome this greatly! Now here are some of the amazing synchronicities I have found after doing a little bit of digging and playing around with this information. The appearance of the number 5555 indicates very big changes manifesting. These might be personal or they might be on the world stage or perhaps both, it is impossible to know until it happens, if anything will happen at all. I would like to share a few synchronicities from yesterday while in town. It is interesting to note that the Universe is not strongly guiding me to add as many of these synchronicities to these reports recently. This has been wonderful as it has been a great break for my mind which is sometimes pushed to the limit when organizing and writing these reports. And the number 198 appeared in the past and is the gematria value of the following words and phrases: ‘Christ Four Ten’, ‘Calm Before the Storm’, ‘The Proof of Gematria’, ‘All Things are Revealed’, ‘The Heavenly Goddess’, ‘Magic’ and ‘Wisdom and Knowledge’. They had put in $2.65 and we just saw that after April 10th there are 265 days in the year and the amount of gas they got was 1.002 gallons and this number 1002 has appeared in big ways as well. The gematria value of ‘King of the World’, ‘Phoenix Rising’ and ‘Thomas A. Anderson’ (Neo’s name in ‘The Matrix’) have a value of 1002 using the same cipher and the gematria value of 1002 spelled out has a value of 4100. But while walking into the libary there was a young man with a sweater on which had a blue wolf head on it and I knew this was where I was supposed to go. The wolf is my spirit animal and when it appears in any form, that is a sign that the correct path is being taken. The last three digits are 496 and this is our other sign post number 946 in a different order. My apologies about not writing anything for the past several days. It has actually been nice to take a small break from it as it really is a work-out for the mind. We are still in the process of moving and I have been helping my step-dad move his many things (lots of tools, vehicles and machines) to this new house. I really want to open this report with a miraculous and synchronistic story which him and I experienced yesterday. I was going to write about it yesterday but we had been doing so much work from morning until the evening that I was just too tired to do so. So we pulled over to see what was wrong and we ended up being near a small town where we began to search for a tire shop. 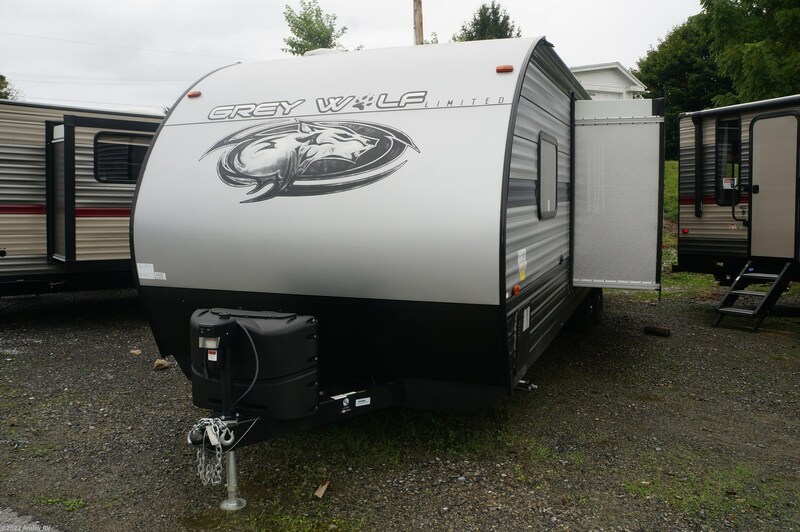 While we were turning down the road to get to this town we saw an RV with the name ‘Grey Wolf’ on it and some might know that the wolf is my spirit animal and I knew immediately that something interesting was going to happen. I knew everything would be okay. So then we visit the first shop which didn’t have the correct tire we needed and they recommended us to visit another shop down the road and when we arrived the man there said he couldn’t help us with it. But interestingly there was another man shopping there who overheard us and said he had the tire that we needed and said that when he got what he came to the store for we could follow him back to his shop and see what he could do. Well much to our amazement this man had EXACTLY the right tire for this trailer and my step-dad had just enough money to buy one from him. And when we got to this man’s shop we found he had so much in common with my step-dad it was really trippy. Same tools, same-looking shop and same interest in motorcycles. We were both blown away. Of course my step-dad called this ‘luck’ but I know better since it happens all the time. It was the work of God/Source and its many helpers on the ‘other side’. Without that man being there in the shop at that exact time we would have had to risk driving to the nearest town which was about 14 miles away and the tire on the trailer possibly going flat with 3000 pounds (1360 Kg) of weight on it. This photo hasn’t been edited in any way, the sky is actually THAT blue! So the next few synchronicities have to do with our ‘sign post‘ number 659 which has been appearing so much more lately since I really acknowledged it as such. The number 410 has been appearing again in the most amazing ways. 4/10 is my birthday and this number is one of the most important numbers in metaphysics besides Pi (314) and 137. It is a missing capstone/keystone number which connects so many things together. I am not exaggerating when I claim that this is one of the most important numbers to ever exist. If one goes back and reads some of the other posts in these collections of reports they will see this is the case. The number 419 has been front-and-center recently again as well. If seen as a date this would be April 19th and this is the day of a Full Moon which will be happening in a couple of weeks as of the time of this writing. And I had a dream where this number was strongly emphasized. And when numbers like this appear in dreams it means that big synchronicities will be happening in connection to those numbers. And so far the true meaning of these numbers is only revealed when the time is right. Guessing has become a futile exercise. And I wasn’t going to add this next part but I am being guided to since is it synchronistic. While in the house the other day I saw that the second Harry Potter movie was on and a very subtle voice inside me suggested that I go and analyze the information from that movie. It is always interesting that sometimes the telepathic suggestions I get are so strong I cannot resist them and other times they are so subtle it’s almost like a thought that comes and goes in the blink of an eye. But those suggestions seem to be like little tests to see if I will listen to that tiny voice. Many times I have done this and the most amazing synchronicities had come to the surface. Another thing I wanted to document was when my step-dad and I were at a junk yard dropping off a vehicle to be scrapped and when we went inside to the office area the song ‘The Final Countdown’ happened to be playing on the radio. When I heard that I got really excited! Alright this is everything for now, much love everyone. So over the past several weeks I have been guided to document certain scenes from TV shows and movies which I didn’t realize would be going into a future video due to the amount of writing that I have been guided to do recently. But these efforts solidified today in this sequel to the first Justice is Coming. It’s got a little bit of everything which I hope will appeal to as many people as possible. I hope those who feel guided to see it will enjoy it! And as usual it is not necessary to have seen the previous one to understand this one. Much love all. Warning: There are scenes at the end where it shows people being hanged so if this is something you don’t want to watch then you are free to avoid it. So this is definitely an unexpected post but one that is being stressed as very important right now. Last night I was guided to go to the beginning of Cobra’s blog and analyze the information there and there were some interesting things that came up including a dream later that night where it was strongly stressed that people take Cobra’s information more seriously. I have never had a dream like that before but the message was loud and clear as you will read. It is extremely important that people takes Cobra’s information seriously. This was the sum of this dream. I remember it being time for something and we were up in the woods in a parking lot area and I was trying to figure out the timing of a show, like the Walking Dead but not evil, like a preparation show or something. And those who were paying attention were very well prepared and those who weren’t will have had a harder time dealing with what was happening. Cobra’s blog and information was critical to moving on to the next steps. I think I had got in just in time. I am losing the details of the dream fast. The overall message is, stay informed and learn which sources are genuine and which are just a distraction. The mood of the people in the dream, including myself, was that this was vital at this time. I’m not saying anything is going to happen nor am I trying to instill fear, but help increase preparedness. So yes the sense of urgency was quite strong in this one. One thing I suggest is to go back and just re-read some of the posts from Cobra’s blog (there aren’t that many as the majority of the posts on the blog are coded messages for the Resistance Movement) and get as up-to-date as they can. Someone at Prepare for Change has very kindly taken Cobra’s most important articles and put them into one place online. People can easily go to the blog and look on the right hand side where the dates are and go through each month and find the posts. Before I share the other possible memory of life before (or after?) quarantine Earth I wished to share the synchronicities I found in regards to Cobra’s blog. Many times I am finding that going back to the beginning of something will result in the most astonishing synchronicities. It is becoming more and more obvious that there is a grand plan for each and every person which is being orchestrated with and/or without our conscious knowledge. Just lying down and felt like what might be a memory, it was like it pushed through to the surface of my attention, like remembering it. I was floating in space but things looked like a big distortion and the planets and stars were like in a distorted kind of circle like a black hole. But I felt this incredible purity and love and joy! It was amazing! There was no darkness or evil. It didn’t exist to me, it was all love and peace, no negativity at all! I hope this is a memory or taste of what is to come. I am ready for total happiness! There was really nothing in this life I could compare this experience to. It was just me existing in this state of total peace and bliss forever. I wish I could share these emotions with all of you reading this because it would be such a wonderful break from living in this hell hole. This message isn’t from me personally, it is from a higher source which is only looking after the highest good of each person on this planet. I am just the humble vessel delivering this information. This is everything for now, much love everyone!